Blockchain technology is making itself felt in every possible way. The latest casino news relating to blockchain comes from Hope Games which recently announced that it had reached its goal of raising $2,000,000 which it hopes to parley into larger investments. Hope Games wants to develop the first blockchain-driven protocol for online casinos in emerging markets. 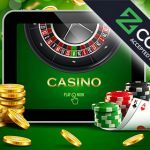 According to the company’s press release, the protocol will entail a complete infrastructure for online casino gaming. Anyone with the requisite knowledge will be able to program the software for their own purposes. The company sees as the end game that blockchain will be able to make all aspects of online casino gaming smoother and more efficient from account management to tracking and coordinating casino bonuses. The idea behind blockchain technology is that it decentralizes money and this decentralizes commerce. The online casino blockchain protocol that Hope Games is developing will be accessible to anyone who wants to use it to run casino games own. In the first stages it is using the Ethereum blockchain but, in the future, Hope Games intends to be able to develop a blockchain of its own. If blockchain is the wave of the future, we need, finally, to understand what it is. We know about blockchain because it comes up in articles about bitcoin and other cryptocurrencies all the time. It seems to be the way this new “money” is created. In the past, people mined for gold and silver and turned those metals into money. People trusted gold and silver because they were rare and so hard to mine. When governments began issuing paper money, it was always backed by gold or silver. We also easily understood how paper money came into being: it was printed using paper, ink, and dyes. Blockchain defies our accepted way of understanding money creation. The value of money to compete with government money is easy to understand; governments no longer back their paper money with gold so the paper money is ultimately just paper. So-called cryptocurrencies claim to be real money backed by the blockchain. It is at that point that we lose our understanding of cryptocurrencies. We still think of banks as the “home” of all money not directly in circulation. Blockchain eliminates the banks entirely. Blockchain is an open accounting system where every transaction is verifiable by everyone else in the system. When we want to buy something with a currency supported by blockchain, we place the transaction in the network as a block.. When other participants in the network approve of the transaction, it is connected to all other blocks in a “chain”. Thus, the term blockchain. Because every block on the chain is readily visible to everyone in the network, it would be much more difficult to steal people’s money. Online theft is the most sophisticated form of theft and online casinos do everything they can to prevent it with encryption software. The proponents of blockchain say that it is far better at reducing to the point of eliminating all online thievery. One reason that people aren’t yet using blockchain as much as its proponents say they will in the end is because the very big financial institutions have not yet figured out how to convert to blockchain without risking their present assets losing much of their value. Nevertheless, many big companies, banks, and even governments are looking at blockchain technology because they all recognize that eventually the bottom will fall out from under currencies that are not backed by anything tangible. It is still not entirely certain that blockchain is the tangible backing that will support the full weight of the world economy. Today it supports far less than 1% of the world economy. Possibly the more salient part of Amit Kanodia’s remarks is that it is well known that the online casino industry lacks transparency. This may be true to a large extent but it is not by any means the case with all online casinos. Many online casinos are completely open and honest about their rules and regulations. Where online gaming is fully legal, it is also regulated by the government. The dishonest online casinos come up one day, take some money from some unfortunate gamers, and disappear. The reputable online casinos continue on day after day. The so-called lack of transparency is just that far too many players send their money to an online casino without checking it out to see if it is run honestly. There are several ways that players can determine whether an online casino is fair and honest. Read casino reviews online with a discerning eye. Read the casino’s terms and conditions. If they are vague or simply too obtuse for easy understanding, the casino is likely not safe. Write to the casino. This would probably be through email. You could also call them on the phone. Don’t bother with chat, however. If the answer you get or the person who answers the phone give any indication that they are so new to the business that they don’t know the answers to simple questions, move on. It is also not a given that as blockchain becomes more prevalent that the decentralization of currencies run on blockchain and the currencies themselves will continue to guarantee safety in online transactions. There is still no proof that blockchain is strong enough to bear the weight of tens of trillions of dollars changing hands every year.